The name of the instrument you refer to is 'laryngoscope.' It was Garcia, the singer, who first attempted to obtain a view of the interior of the human throat and its vocal organs. 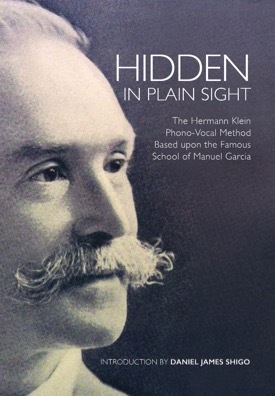 His aim was to perfect vocal instruction, to solve the problem of the human voice. Garcia's methods, however, were not satisfactory. For this reason experiments were given up, and for a while neither scientists nor artists paid much attention to the laryngoscope. The idea of this instrument did not, however, originate with Garcia. 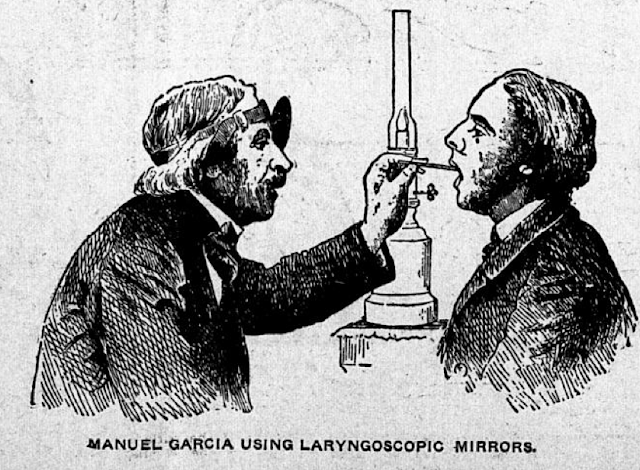 As early as 1807 physicians made attempts at laryngoscopic investigation, and physicians again took up the subject after Garcia had dropped it. The two men that distinguished themselves most in this field were Dr. Turk, of Vienna, and Dr. Czermak, of Pesth. Garcia had used sunlight in his experiments, and to this practice Dr. Turk adhered. Czermak, on the other hand, used lamps and reflectors, because daylight, in his opinion, was not always suitable for experimenting. There arose a bitter debate between these two opponents, which gradually attracted the attention of scientists and singers all over Europe. By this means the laryngoscope was once more brought prominently before the world, and from that time on it was never again lost sight of. The artificial light theory carried the day. Many experiments have been made with this instrument. Persons have sung and talked while they had the mirror in their mouths, the vocal chords have been watched, and much valuable information has been obtained, for all that musicians have not yet reached a uniform theory as to the voice and its registers, and the professors the doctors, and voice-builders, are still at variance. It is the opinion of not a few, that the laryngoscope is of no practical value to the vocal teacher, inasmuch as the person that is operated upon, having to stretch out the tongue, and a glass being placed in the mouth, cannot produce a natural tone. You had better let the laryngoscope alone. It is of far more importance for you to know what a pretty tone is, how to sing with expression, than to know how the vocal chords move or vibrate. From what information I could gather on this subject, it seems that the laryngoscope has done far better service to medical science than to musical art. —Karl Merz, "The Laryngoscope," Werner's Voice Magazine, January, 1881: 3. You may think it strange, but I read articles like the one above and ask myself: Ok, so what has changed? Technology has progressed insofar as that examination of the vocal tract and larynx is not invasive, with scoping being done via the nose and nasal passage. But does this technological advance help the singer sing? I would say no. And therein lies the rub. Analyzing tone is one thing, while creating it is another. They aren't the same process at all. However, it's not uncommon to encounter the belief that knowledge of the muscles of the larynx and vocal tract enable greater control. Experience in the studio tells me, however, that this is an illusion. You can tell a student how the muscles of the larynx work, but this doesn't give them the means to sing any more than a knowledge of the muscles of the leg and foot help a person to walk or run. Finding out what the voice wants? You need a really good teacher for that. Either that, or you are a canny autodidact. To cultivate a voice it is of the greatest importance to ascertain as soon as possible, the real character of the voice. Some voices are so warped, the tones so misplace, the registers and quality so exaggerated, that at first it is sometimes impossible to tell what the voice is its normal condition really is. All voices should not be treated precisely the same. For example, if a voice is a soprano, it should not be treated as though it were a mezzo-contralto, even if the compass be the same. The voice should be cultivated in the clear timbre or quality. The strength of the voice is gained in this timbre. It should not be understood that the tone should be of a thin, flat quality; all tones should receive a certain degree of coloring from the first. The sombre timbre should only be used for emotional effects; if the voice has been properly cultivated it will become stronger and more sombre by usage and age. For the production of clear tones the air should be directed forward, and for the production of the sombre tones the air should be directed backwards. The quality of a tone is almost entirely owing to its resonance. In cases where the resonance is too far back, the vowels ee as ee in deed, will be found to be the most favorable to bring the resonance forward. Practice with the word see will also prove of great advantage. The consonant s aids largely in placing the sound well against the teeth. During the singing, the position of the tongue for the different vowels should be as flat as possible, and projected forward. Great care should be taken not to draw the tongue backward. This fault may be overcome by practice before a glass; first drawing in the breath as in gaping, then vocalizing with ah, and the vowels a, e, i, o, u, the end of the tongue at the same time being pressed against the front lower teeth during the production of the tone. It will be found advantageous to sustain all the vowels to teach tone of the diatonic scale, the entire compass of the voice, and also the Italian syllables do, re, mi, etc., keeping the tongue forward during the sustained sound, and giving a similar quality of sound to all the tones. By this it is not meant that the volume should be the same throughout the scale; in every instance, the higher the tone, the less the volume. No fault in pronunciation is more common than that of dwelling upon the final l of words, as shall, fall, fail. While sustaining the l the free transmission of sound is interfered with by the curling of the tongue, thus producing a disagreeable tone. The sound should be sustained upon the first vowel of syllable of a word, and the vanishing part of the word given quickly and promptly. Aw and oo are the most favorable vowels for the production of sombre tones. The chin should be kept well back for all sombre tones, and under no circumstances should it ever protrude. The vowels a as in day, a as in arm, e as in read, are the best suited for the production of a clear quality of tone. The sombre and clear qualities give color to the thought, and should be made with different degrees of intensity, corresponding to the different degrees of emotion. The words should suggest the quality. For example the words, "Hark! from the tomb a doleful sound," should at once suggest the sombre quality; while the words, "Joy to the world, the Lord is come!" should suggest the clear quality. But few singers give sufficient attention to the shading of tones. As all the emotions may be expressed by the face, without the utterance of speech, so many they all be expressed by colors of tone. Some voices are naturally full and sombre in quality, hence are physiologically adapted to oratorio music; while clearer, brighter voices are physiologically adapted to operatic music. Often this is so marked that the grandest oratorio singer may fail in opera, and the most brilliant opera singer may fail in oratorio. The vowels most favorable for the culture of the male voice are a as in art, ee as in deed, o as in don't oo as in doom, au as in aught, and the Italian notation syllables do, re, mi. No one vowel or syllable should be used exclusively for the culture of the voice, male or female, neither should the entire range of the compass be sung without shading. For example, if a as in art be used throughout the entire compass without a change of color, the upper tones will become thin, and the voice will eventual become weak and unmusical. The exclusive practice of e would cause the voice to lose volume, and the invariable practice with au, although it would give fulness, would fail to add strength to the voice. After all defects have been remedied, then the real culture of the voice should be commenced. The syllable ah, shaded into o or oo on the upper tones, will be found for general practice for all voices to be the most useful syllables. If the tones are not shaded on the upper part of the voice they will become thin and screamy. In shading the upper tones great care should be taken not to make them excessively sombre, otherwise they will be so muffled that there will be a loss of power and agility. Shading should be very slight at the beginning of a scale. The very low tones should be sung with ah, as more depth, power and brilliancy is gained with this syllable on these tones than with the syllable au. The male voice, in ascending the scale, should merge the ah with ah-au-oo combined, the difference between unshared and shaded tones will be easily observed, the tones produced with ah being unshaded, and those combing ah-au-oo being shaded. Unless great care is exercised in the production of shaded tones the larynx will sink to excess. The syllables ah, au, and the vowels oo and o, will be found to be the most favorable for the culture for the female voice. The process of cultivating the female voice is quite different from that of the male voice, from the fact that three registers are to be considered, and if either are exaggerated ruination of the voice will be inevitable. On the lowest tones the ah will be found to be preferable, the chin being allowed to fall downward and backward. If a full, sombre tone is desired, the syllable au or the vowels oo, with a vertical position of the lips, will be found favorable for the production of this quality of tone. On the high tones of the voice it will be found beneficial to allow the e to approach the sound of ah, with the chin well back, and the upper lip sufficiently raised to show the upper teeth as in smiling; by this mode the highest and best tones can be produced in the clear timbre. If the ah, as produced on the low, and sometimes on the middle tones of the voice, should be used on C, third space of the soprano staff, and the same quality continued above, the voice would in a short time become thin and weak. In singing scales, the shading of the chest-tones of the soprano and mezzo-soprano voice should be commenced on C. The contralto voice should begin to shade on B. The shading of the tones of the soprano and mezzo-soprano voices, preparatory to their entrance into the head-voice, should be commenced on B. For the same purpose, the contralto should commence to shade on B flat. The tenor and baritone voices, preparatory to their entrance into the head-voice, should begin to shade on C. The bass, for the same purpose, should begin on B flat. In the female voice it is wise to cultivate the medium register first. In the first lessons, the medium or falsetto voice should be carried as low as possible. When these tones have become strong, the chest-voice should be studied. By this process the break between the medium and chest-registers will be so slight that they can be easily united. If the chest-tones are first cultivated, the break between the medium and chest-voice will be very conspicuous, and there will be much difficulty in uniting the two. Unless special attention is given to the medium tones in the lower part of the voice they will be weak and useless. One should be able to sing full medium tones from C, the first added line below the soprano staff, to B, the third line of the same staff. There are few faults more common with beginners in voice-culture than that of producing throaty tones. This fault may be remedied by vocalizing with the chin lowered and drawn inward. Another prominent fault among students is that of protruding the chin. This may be remedied by first placing the chin down and back, and then singing a tone with a gradual crescendo. Another excellent remedy is to move the chin downward and upward, as in mastication, during the production of a tone, endeavoring, at the same time, to jeep the muscles attached to the jaw relaxed. If these methods fail, lower the chin, place a strap about it, fastening it at the back of the head, and while in position vocalize the scales. The extreme limits of the voice should never be practiced. For example, in order to attain C in alt one should to practice above A or B flat. If the high C is in the voice, by practicing a few tones below this letter the voice will grow up to it. Even when the high C has been acquired, it should not be brought into daily practice. Its occurrences in arias and cadenzas will give it sufficient practice. What is said of the high tones is true in regard to the low tones, although the low tones are not susceptible to injury as are the high tones. —Harry J. Wheeler, "Rules for Training the Voice," Werner's Voice Magazine, January 1889: 6-7. It's not the first time J. Harry Wheeler has appeared on these pages (see here), though this is the first time he has done so in his own words. Like other pieces that have appeared on VoiceTalk, this one fell into my lap while I was looking for something else. Further digging revealed Wheeler gave a series of talks in New York City in 1904 on the very same topic, which indicates that he was presenting material which had "legs." In that regards, he seems to have been a teacher of teachers. Those who know their historical vocal pedagogy will be fascinated by Wheeler's instruction regarding clear and sombre timbre, if only because Wheeler was a student first of Manuel García and then Francesco Lamperti—García addressing the physiological difference between timbres in his great work A Complete Treatise on the Art of Singing (1847). Shading, timbre, use of registers, eliminating defects, as well as the canny use of vowels: these are foundational elements of vocal training which rely on the ear of both teacher and student. Is there any better technology? WERNER'S MAGAZINE has frequently urged teachers to explain their methods of voice-culture, saying this should be done for the benefit of all interested in the Art and Science of Singing, or words to that effect. In the July issue the question is asked, "If they cannot satisfactorily explain their methods of procedure are not such teachers empiricists?" and that "were a written report of the theoretical methods of New York's leading teachers written, not twenty would harmonize in their views." In the first place, singing can never be taught or satisfactorily explained by written articles or books, for no matter now lucid they may be, no human being can follow directions without the aid of a teacher, for the simple reason that set rules and directions in nine cases out of ten would not suit the case. A method to succeed must be adapted to each pupil and his own individual requirements, according to the judgement and proficiency of a teacher who appeals to the child nature with simple similes and easy explanations. No two explanations will suffice for two individuals, but the theory of sound focus, location of notes and the desired quality, can be termed in set phrases, if necessary, and drawn with the pencil to be seen as well as heard and reasoned out. But one who does not know his faults and attempts a new theory, while still unconsciously clinging to them, reaps nothing but failure, and brands as a humbug the method he has wasted as much time trying to work out alone. Illustration and a teacher's acute ear divine a means or reaching the difficulty, and comprehension of each individual brings him where he can see, hear, and feel the method, in its delicious difference from that which he has hitherto employed, either from ignorance or delusion. 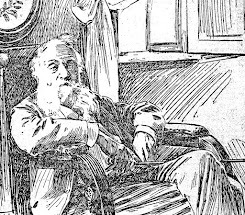 What appeared so contradictory, so downright senseless, is now understood as different forms of expression; and although many were used that were not useful in his case, he now sees them as so many channels leading to the truth, and treasure them in turn to meet the different difficulties and understandings of those who may some day study with him. The physician who conscientiously studies every one of his patients treats accordingly, so the teacher has to study each pupil many an hour outside of the lesson hour, if justice is to be done the voice in charge. Because we cannot teach every pupil alike, is this empiricism? Were teachers to write forever upon their methods, little good and much harm would probably be done, for students would experiment more than they do now even, and ruined voices and blasted faith in teachers generally would be the result. Taking another view of it, were it possible to teach, or benefit the people through written articles, why should vocal philanthropy be expected, of singing-teachers? Has it not cost the capable teacher a small fortune to gain his knowledge, and will a pupil pay for lessons that are printed broadcast throughout the land? Does not a manufacturer guard his secret of success, and is not the vocal teacher's method his secret of success and stock in trade? Now I come to the various methods of vocal teachers and the many poor results of their teaching. Has it never occurred to the thinker that of all professions in this world the vocal profession is the most infringed upon? If discrimination were used, all who teach would not be termed " teachers." 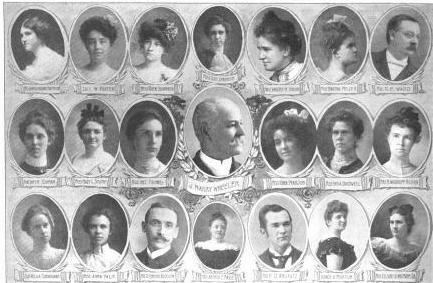 A few lessons from a good teacher or one lesson from every known teacher is sufficient, with the aid of an accompanist, to place the adventurer's and experimenter's name under the head of "vocal teacher," pupil of this or that celebrity, and nine cases out of ten sharp business tact will reap success. The following three examples recently came to my notice: While on an engagement in a western city a celebrated teacher there called on me. He stated who he was, and informed me that several of his pupils were coming that day to induce me to give them lessons during my stay there, and he added: ''Now, Mme. d'Arona, let me off easy with them, and permit me also to study with you so as to head them off." 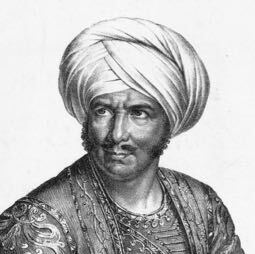 He begged me to keep his confidence, and, in answer to my inquiries, told me he had been to Italy, and had taken one lesson from Lamperti, and had since used his name to give him prestige. Observing my disgust, he added quickly: "Come, now, Mme. d'Arona, I am the right man in the right place. A great teacher would not be appreciated here, and you would not earn your salt, while I am getting rich." Early last winter a New York teacher came to me and wrote down every word I said without asking for explanations. On reprimanding her, she said: "I've got to teach, Mme. 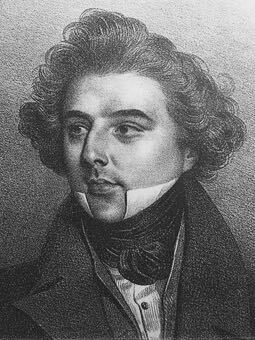 d'Arona, and if I can just memorize your terms of expression, etc., my pupils will think I know it all even if I don't explain to them." This same teacher (? 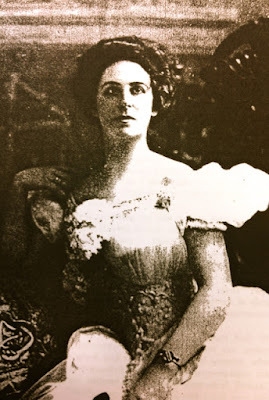 ), on hearing Melba and Calve sing, said to me: "Oh pshaw! Mme. d'Arona, I'd rather go to the circus." Last month I received a letter from a vocal teacher in a seminary down South, asking if she came to New York for ten lessons if I would give her a certificate. I could cite many similar examples. Again, there are good musicians, orchestra leaders and excellent pianists, who give singing-lessons. Why? Because they have applicants, and think they can do something for a pupil any way, from a musician's standpoint. So by degrees piano teaching gives way to vocal teaching. As well go to the pianist to study the violin as to entrust the vocal instrument to a pianist. Harmony, contrapoint, musical history, anatomical throat-studies, sight-reading, etc., are all well enough, but why pay a singingteacher's price for cheaper studies, when to learn to sing is the desired object? In selecting a teacher a pupil may go from one teacher to another, thinking he knows well what he wants; whereas, if he would but reflect, he would see that the teacher who made the best impression upon him in an interview might not necessarily be the best teacher. The would-be student's readings upon the voice, etc., give him the idea that from a doctor's book to one on thorough bass must necessarily be included in the singing-lesson, and under this erroneous impression goes to the teacher who teaches everything but singing! Becoming dissatisfied after a while, he leaves; and, going this time to a genuine singing-teacher, is inclined to be suspicious and doubtful especially when, like the physician, the teacher tries to take his mind off his disease (wrong impressions or pet-hobbies) to cure him, and when giving him other food for reflection, he glares and thinks he detects ignorance. A work is before the conscientious teacher that cannot be done in a day. Many lessons may be lost before confidence is gained, and without confidence nothing can be done. Singing is the study of a life-time. After a pupil leaves the studio for public singing, he only then graduates to another school. His voice is now placed, to be sure. 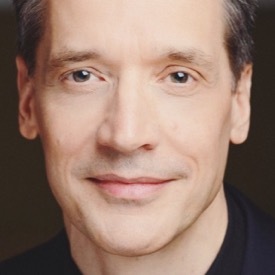 He has a good repertoire of memorized operas, oratorios, and concert selections. He sings with style and finish, but breadth, abandon, confidence in his own ability, footlight inspiration and an experience of years before the audiences of many nations aie necessary for him to develop to the fullest extent. The reason why the results of teachers' work are so unsatisfactory, lies in the fact, that where in Europe only those whose voices are pronounced superior by competent persons study singing, here in America it is the fashion, and all who love it, and many who do not but crave popularity, study, or rather they take finishing lessons, each one secretly anticipating phenomenal success, which the display teacher humors to an incredible degree. Outside of the profession, the standard of a perfect tone is most pitiably at variance in this country. I much question if it is ever analyzed. The public generally judge a voice from its style and finish, and the selection rendered. As well buy a sofa whose pretty covering conceals poor upholstering, or wear an elaborately trimmed dress before the seams have been stitched. Something is bound to give way and in these instances everybody knows it. When a pupil commences to study singing, that is the time she should say good-bye to singing, and under the guidance of a good teacher never open her lips while the necessarily delicate work is going on. The contrary is the rule. As soon as a few lessons are taken everyone asks pupils to sing and looks with contempt upon any teacher who is, as they put it, afraid to let a pupil be heard. Another fact: In Europe a teacher is not obliged to work quarter after quarter upon peculiarly personal faults. I often wonder what European teachers would do with some of the pupils American teachers are expected to make prima donnas of! The first thing done in Europe is to send pupils to the opera for every performance, which, with lessons, is a boon to both pupil and teacher. Crowning all these difficulties for the advancement of our pupils in America is the lack of encouragement and appreciation accorded their painstaking efforts by the American public itself. There never was a nation of students (I refer to the genuine student) with greater determination to surmount all difficulties and succeed than are Americans. There are no people on the face of the earth more intelligent, more persevering than are our struggling American vocal students. That all of our famous American singers and artists, such as Albaui,Van Zandt, De Lussan, Emma Eames, Nordica, Valda, Hope Glen, Belle Cole, etc., etc., made their reputations in Europe and now live there, is plainly significant. I now touch the point of the much doubted truth "of there being a vocal science," because vocal teachers' views upon the subject seem to clash. I repeat "seem to clash," for of all the teachers represented by my pupils, many misunderstandings have been cleared away by the pupils themselves recognizing what some previous teacher tried to explain to them. That there are differences in methods, is only too true. That there are different theories and that the apparently most successful teachers are not the best, is also a fact, but not a greater fact than that all bona fide teachers work for the same results. It makes little difference how you get there, if you only arrive. It is the result which tells. The fundamental truths of the art of singing are based upon the European standard of the old masters, and the truths so much discussed as new discoveries were taught many, many years before present-day discoverers were born. That these latter-day theorists are not indebted to the old masters for their knowledge, may also be true, for study and experience are great teachers as is proved by de Rialp's book which, in some points, is the very Lamperti method through and through. The points in said book of "mother tone," "pitch," etc., are solid truths, which by the clothing of expression confuses many. De Rialp is wise in offering no further explanation of his terms, since only those who have had these points viva voce illustrated, and themselves put them into practice by the side of a keenly observant teacher, can fully comprehend their meaning. So it is with many of the expressions of vocal teachers which seem so at variance. That these erroneous ideas concerning their methods are so prevalent, is due almost entirely to the teachers themselves, who from intense greed, jealousy, and the foolish idea that they must be the first and the only perfect teachers living, has so blinded them that they will not acknowledge as correct one point written or taught by any other teacher. That the best American teachers are the best teachers in the world to-day, there is not the slightest doubt; that they understand American faults, needs, temperaments, and ambitions better than any foreigner possibly can understand them, is also a truth, but that it is a difficult task to steer a pupil through ignorant home influence and prejudice and insulting opinions openly expressed by rival teachers and their allies, is another truth, but one that could be easily relieved if teachers would only unite in observing a little professional courtesy toward one another, as is shown among physicians. Then, although we might all wish for the steamboat to success, the chip, if only started in the right direction, would feel secure, knowing powerful and friendly aid was on either side; and no matter what difficulties it encountered, with a guarantee of good will to unite all interests, the success of conscientious and honest achievements would be assured. —Florenza D'Arona, "The Fogs of Voice-Culture," Werner's Magazine, September 1894: 314-5. Florenza D'Arona was a student of Francesco Lamperti, the Milanese martinet who taught his students to sing based on what his ear told him rather than his understanding of anatomy, physiology and acoustics—the latter only becoming a subject for study after his death in 1892. He was highly successful empiricist, taught in a class environment, and held his students to one concept at a time, often allowing them only one aria for more than a year. As Lamperti's pupil, D'Arona outlines many of the issues that voice teachers and their students still face today. Her criticisms of teachers and students alike still holds true, which may say more about human nature than anything else. Without going deeply into the Yogi theories of sound-production in speaking and singing, we wish to say that experience has taught them that the timbre, quality and power of a voice depends not alone upon the vocal organs in the throat, but that the facial muscles, etc., have much to do with the matter. Some men with large chests produce but a poor tone, while others with large chests produce tones of amazing strength and quality. Here is an interesting experiment worth trying: Stand before a glass and pucker up your mouth and whistle, and note the shape of your mouth and the general expression of your face. Then sing or speak as you do naturally, and see the difference. Then start to whistle again for a few seconds, and then, without changing the position of your lips or face, sing a few notes and notice what a vibrant resonant, clear and beautiful tone is produced. —Yogi Ramacharaka, Science of Breath: A Complete Manual of the Oriental Breathing Philosophy of Physical, Mental, Psychic and Spiritual Development (Yogi Publication Society, Chicago) 1904: 51. 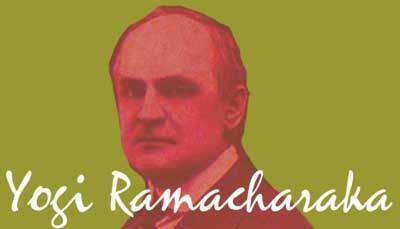 Aside from the fact that "Yogi Ramacharaka" was in actuality a gentleman by the name of Willam Walker Atkinson who published a great many books on the occult and oriental philosophy, the exercise in question is one worth trying. 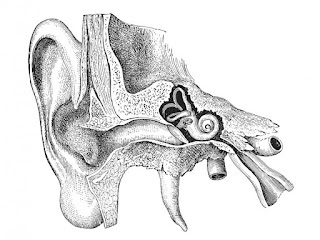 As Alfred A. Tomatis observed, the stapedius muscle in the ear has a connection to the face via the facial nerve, the innervation of which is reflected in the ear and voice. Of course, you can't make a face and sing. That's not the point. However, it should be noted that the experiment outlined above has a clear resonance with what Lucie Manén described as "imposto," and which Margaret Harshaw illustrated by using a curious expression (click on the labels below to learn more). As well, voice teachers of Atkinson a.k.a. 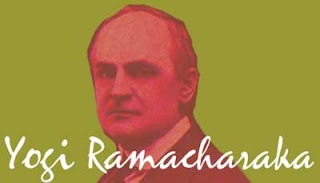 Ramacharaka's period like Anna E. Schoen-René (who taught Manén and Margaret Harshaw) and Frederic W. Root (who interviewed and probably studied with Manuel García) also talked about starting the tone from behind the bridge of the nose, which this writer understands as a sensation arising from the aforementioned innervation of facial muscles. But enough theorizing. Go stand in front of a mirror and see what you can make of it. After all, anyone can whistle. The The Ear and the Voice: Workshop presented on December 5th, one of the exercises given to participants explored the perceptual difference between the left and right ear. They aren't the same! But of course, I didn't tell participants this. That would be leading the witness. Instead, I simply had them execute the exercise one by one, and then let them tell each other what they perceived. To a man (the participants were all male), everyone had near identical perceptions; the right ear seemed higher, brighter and more present, while the left ear—in comparison to the right—hugged the body, and was lower and darker. These perceptions point out what Tomatis observed, which is that the right ear processes higher frequencies faster. Why is this important to the singer? There are several reasons actually, but if we are going to talk about the tonal product, the most important matter is clarity and ring. If we are going to talk about the manner in which the singer navigates the world of sound, there is the need for the right ear to lead (which has been discussed on these pages at length). And if we are going to talk about the difference between the ears in terms of their innate psychological setting—and they are different in this regard too, we have to talk about the difference between the Editor and the Achiever. The Editor sits back and comments on everything that is happening, while the Achiever is too busy being engaged to think about such things. The Editor is discursive in nature and excels in picking things apart to make them better—a very necessary aspect which has everything to do with analysis, while the Achiever revels in living in the moment, doing the deed, and walking the talk. The Editor thinks about love, while the Achiever is in love—a huge qualitative difference. While we need both the Editor and the Achiever to learn how to sing, it is the Achiever that needs to be in the drivers seat. Guess which psychological aspect Tomatis observed as being expressed in each ear? Claims made from the past. What do we do with them in light of what we know today? What happens when they don't fall within our current understanding? For instance: What do we do with the assertion made in Vocal Wisdom that the tone must start in the center of the head, especially when it is known that the vocal tract is the only resonator? I can think of several possible scenarios. One modern response is that since the vocal tract is the only resonator, anything that is perceived in the head is not "source" material and is therefore suspect, ephemeral and should be ignored. Another response is that whatever is uttered by revered vocal pedagogues of the past must be accepted without question. Get it in the head, baby! Doesn't matter what you do, just get it there! Both views miss the mark in my estimation. Accepting information without question isn't very smart. In fact, it's rather stupid. That's the blind leading the blind, and befits the acolyte who worships the self-appointed priest, one who often brooks no opposition. However, discounting historic teachings out of hand because they don't fit current understanding isn't helpful either, if only because that too stops inquiry. In both cases, one remains at a surface level of experience and understanding. To go deep, you have to dig. And that is hard to do when you see what you are looking at through a particular lens, worldview, or set of facts. To change how you see or how you think, there has be a paradigm shift. This involves incorporating new information. I gave a workshop recently where the example in question was explored in a practical and systematic manner, and while I didn't for one second suggest that participants send tone into their heads (that would be stupid), they experienced what is talked about in Vocal Wisdom. That and more. How was this made possible? I gave them exercises which opened their ears! Their minds followed in due course. 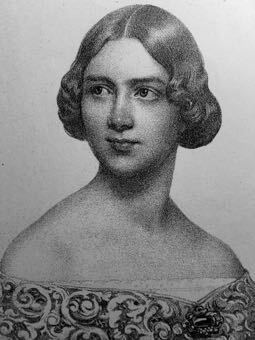 With a very strong individuality and intense emotional artistic temperament, Madame Marchesi enters absolutely into the supreme characteristic mood of every song, and the gods have gifted her so that she is able to transfer it to her audience with simple directness and power. She has been described as the Sarah Bernhardt of singing, and perhaps this is true, because she is always a fine actress. And here one must leave a woman who boasts, indeed, many parts, so many that one ventured to ask her what she considered the greatest qualification needful to the career of a successful singer. Madame Marchesi makes many demands upon Mother Nature when she declares herself in favour of thirteen stringent rules. “First,” she says, “not an extraordinary voice, but the possibility of a good voice, and that is: the right muscles, the proper shape of the mouth, and so on. Secondly, a teacher who not only knows her work, but has interest in her pupil. After that, place health, untiring perseverance, thoroughness, presence, which means more personality, I think, than beauty, magnetism (and this is a great essential in taking an audience with you), a graceful charm of manner on the platform and away from it, good fortune, individuality of character, again individuality—individuality—doesn't that make the number?” the singer finished, with a smile. 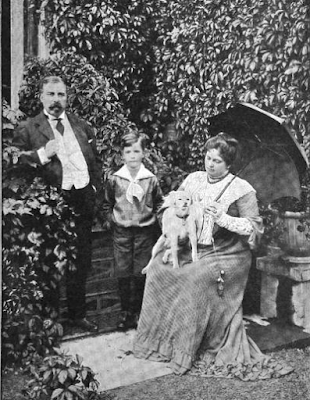 —Emmie and Blossom Keddell, "Madam Blanche Marchesi at Home," Cassell's Magazine, Illustrated, 1909: 440-446. Find the complete article here. It's a fascinating read. Click on the label below for more information on Blanche Marchesi and her teaching. Then go listen to her recordings at Youtube. It's great stuff!